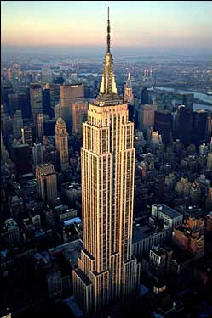 This building with 102 stories (1,250 ft/381 m high) is situated in central Manhattan, New York City, USA. It was built in 1931 with 57,000 tons of steel columns and beams, 62,000 cubic yards of concrete, 6,400 windows, and 67 elevators in 7 miles of shafts, the Empire State Building is a feat of 20th-century engineering. Petronas Towers; world's tallest twin towers situated in in Kuala Lumpur, Malaysia, with 1,483 ft (452 m) height were completed in 1997. It was built of steel-reinforced concrete columns clad in stainless steel and glass, with a design based on geometric patterns originating in ancient Islam, the 88-story buildings are connected at levels 41 and 42 by a double-decker pedestrian skybridge. Sears Tower, Chicago, USA was constructed from 1970 to 1974 for Sears, Roebuck & Co., it rises 110 stories to a height of 1,450 ft (442 m); the 253 ft (77 m) television antenna topping it makes it the world's third tallest freestanding structure at 1,703 ft (519 m). The Sears Tower is supported structurally by square tubes of welded steel with floors suspended within the tubes, a technological innovation that was developed specifically for the mammoth skyscraper by architectural engineer Fazlur Kahn. 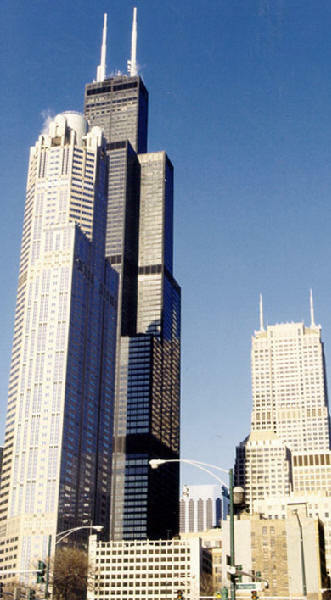 The Sears Tower has an exterior of black aluminum and bronze-toned glass cut by black bands. 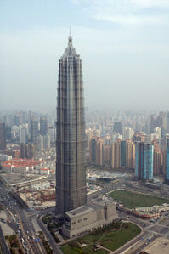 Jin Mao tower, Shanghai, China is 420.5 m high with altogether 88 stories and total construction area of 290,000 square meters. 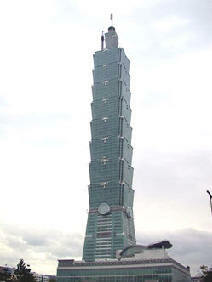 It was started in 1994 and completed in 1998. 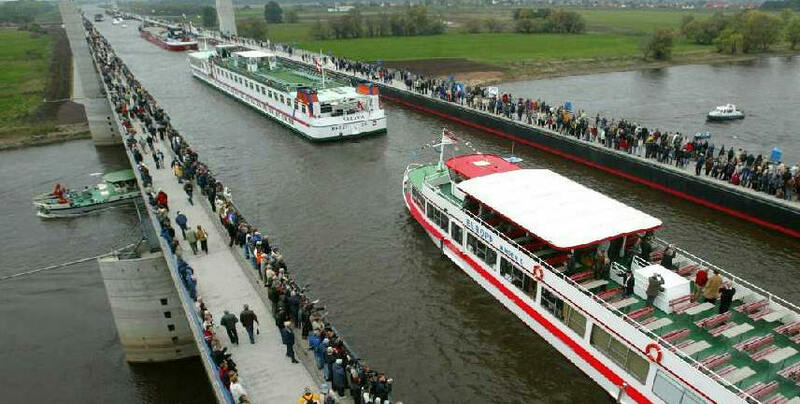 It is currently the longest spanning suspension bridge in the world. It is 12,828 feet across the Akashi Strait to link the city of Kobe with Awaji-shima Island. One can think of four Brooklyn Bridges to span the same distance! 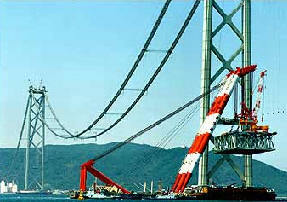 The Akashi Kaikyo Bridge has two towers, at 928 feet, which are higher than any other bridge towers in the world.